Some of the most spectacular views in Western North Carolina, if not the entire eastern United States, can be discovered by visiting Burnsville, NC, a small Blue Ridge town on northern side of the Pisgah National Forest. Located within a 36-mile drive northeast of Asheville, this Yancey County town offers access to the outdoors, southern Appalachian art, and lively street festivals. What is there to do in Burnsville NC? Burnsville offers easy access to a host of outdoor activities including fishing, golfing, hiking, horseback riding, camping, canoeing, and skiing. The town sits at the base of Mt. 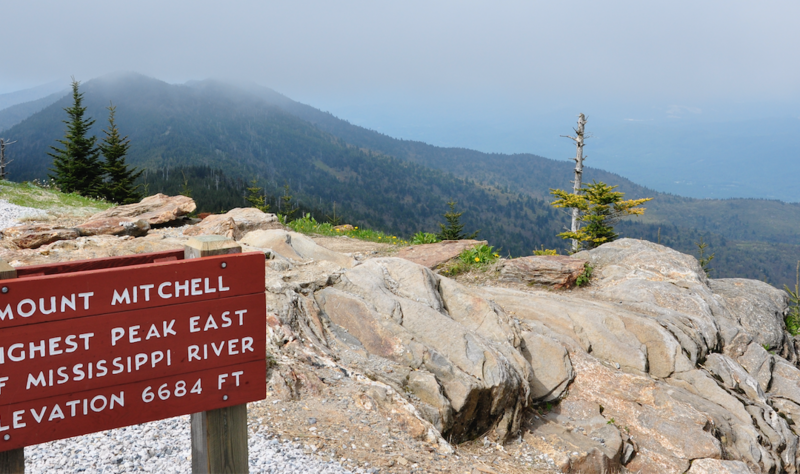 Mitchell, which at 6,684 feet in elevation is the highest mountain peak east of the Mississippi. At the top you’ll find a North Carolina State Park, a weather station you can visit, and one of the most breathtaking views you’ll find in the Blue Ridge Mountains. Due to an abundance of streams, creeks and streams throughout the area, Burnsville offers exceptional fly-fishing opportunities. If you want to try your hand at fly-fishing, but need some guidance, then check out Burnvsille Anglers. Their professional team love to fish, and love to teach others the techniques needed to catch the native trout and smallmouth bass. Find a new treasure to take back home. The Blue Ridge Mountains are home to hundreds of local Southern Appalachian artists. Mediums you’ll find include woodworking, weaving, painting, glass blowing, and jewelry. Everything is represented so there’s something for all tastes. One great place to find art in Burnsville NC is the Toe River Arts Council, which is located close to the Town Square. There’s also the One of a Kind Art Gallery, which features fine, folk, and funky art of regional artists. The great outdoors comes with great camping, and there are a number of places you can pitch a tent, but if you’re one of those folks who prefer four walls and a roof, then check out the Nu Wray Inn, which is right in the heart of Burnsville’s Town Square. They’ve hosted a number of celebrities in their historic home including Elvis Presley, Thomas Wolfe, and Christopher Reeves. Another great option is the beautiful Buck House Inn on Bald Mountain Creek. If wrap around porches, the sound of a creek flowing by and the warmth of a fire ring sound appealing, then this is the place for you. They offer fine dining, access to a nearby fitness center, and there are horseback riding, UTV trail rides, and access to hiking on the Appalachian Trail on site.